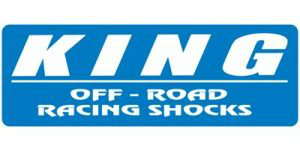 RENO, Nev., USA—With pre-race planning and logistic sessions ongoing as well as tweaking of their exotic desert racing machines, the drawing for starting positions is Thursday and pre-running opens Saturday for entries from all across the United States and around the world expected for next month’s internationally-televised 48th annual SCORE Baja 500. Round 2 of the 2016 SCORE World Desert Championship will be held June 2- 5 in Mexico’s Baja California Norte, starting and finishing in Ensenada, the seaside port on the Pacific Ocean, 80 miles south of San Diego. The deadline to enter the race in order to be included in the drawing for starting positions is 5 p.m. on Wednesday. The drawing, to determine the start order within each class, except the featured SCORE Trophy Truck and the unlimited Class 1, will be held on Thursday. For SCORE Trophy Truck and the unlimited Class 1, the drawing will determine their start order for qualifying on Thurs., June 2. Official practice, or pre-running, on the official race course will begin on Saturday, May 21. The official map of the 477.51-mile course is available on the SCORE website. Online registration, by class, for Pro and Sportsman cars, trucks, UTVs, motorcycles and quads, is ongoing through the SCORE website. SCORE has announced that entry fees for this year’s race have been reduced from last year. The SCORE website has made significant changes to assist in making it easier to navigate for the racers and information on all SCORE races can be found on the home page under the Race Info tab. 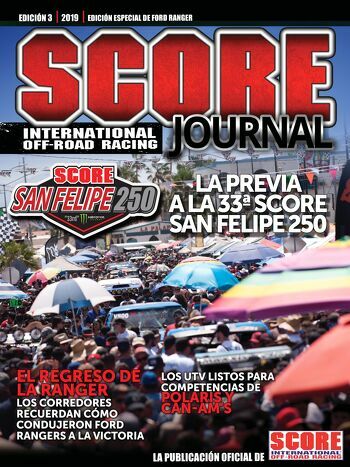 For more info, visit http://score-international.com/raceinfo/baja-500/. Official entries received after the drawing will be given the next available starting position within their respective classes. 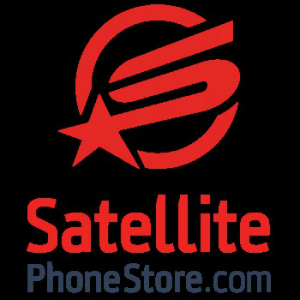 Online entries will be accepted until 3 p.m. on Monday, May 30. Late entries after that date and all on-site late entries will be assessed a $200 late fee to enter the race. Nearly 250 entries are expected at the start line with entries from 20 U.S. States and 10 countries anticipated. It is an elapsed-time race with staggered starts as the green flag on Saturday (June 4) will drop first for the motorcycles and quads at 5:30 a.m. and approximately 10 a.m. for the cars, trucks and UTVs. There is a 21-hour time limit in the elapsed-time race to become an official finisher. The loop race features a 477.51-mile race course developed by SCORE CEO/President Roger Norman and SCORE Race Director Abelardo Grijalva. The historic race course is another memorable example of all that Mexico’s Baja California has to offer, including high-speed dirt trails, sandy, rocky and silty natural terrain, majestic Baja washes and canyons with elevations from sea level to over 4,000 feet. The course is another jewel reflecting the stark beauty of Baja California. The race starts and finishes in Ensenada and has four physical check points and over 60 virtual check points. It travels out through Ojos Negros to Tres Hermanos, Pino Solo, Catavina, Nuevo Junction (Checkpoint 1), The Summit, Cohabuzo, Laguna Salada, Saldana, Tres Pozos, Borrego (CP 2), Three Poles, Zoo Road, Huatomote Wash, Morelia Junction, Diablo dry lake bed, San Matias pass (CP 3), Mike’s Sky Rancho road, Kiliwas wash, the Goat Trail, Jamau and Km 33 crossing of Highway 3 (CP 4). Covering much of the state of Baja California Norte, with some areas seldom used by SCORE, the course has been designed to make it easy to chase for support crews and great for spectators. The course is fun, fast and technical with its rough sections. On Thursday, June 2 qualifying for starting positions will be held for both the marquee SCORE Trophy Truck and the unlimited Class 1 and will be held over a special course near Ensenada and is not open to the public. The start drawing for these two classes will determine their respective qualifying order. While most entries in these two top classes are expected to qualify, those who elect not to will be given the remaining start positions in the elapsed-time race based on the original drawing or entry into the race. Qualifying is closed to the public because of safety concerns, but taped highlights of qualifying will be shown starting Thursday evening (June 2) on the SCORE website. Colorful race week festivities will start Thursday (June 2) with qualifying for SCORE Trophy Truck and Class 1. 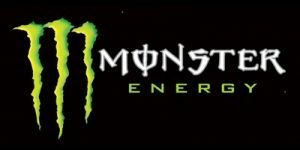 SCORE sponsor partner Monster Energy will host pre-race evening parties both on Thursday (June 2) and Friday (June 3). Friday, June 3 will see the colorful day-long, pre-race Manufacturer’s Midway and contingency festival in the start finish line area in Ensenada. During the race on Saturday, June 4 the start/finish line compound will include the massive double-sided SCOREvision LED screen broadcasting race festivities and start and finish line interviews. The Riviera del Pacifico Cultural Center, in the heart of Ensenada, will again be the site of many of the activities surrounding the SCORE Baja 500. Racer registration and Media registration will be held in the Red room at the Riviera on Thursday and Friday (June 2-3) and the SCORE Media Center will be in the Red room during the race (June 4-5) with internet access and live race updates, vehicle tracking displays including unofficial elapsed times. In the Cathedral Room at the Riviera will be pre-race media conference as well as the mandatory pre-race racer’s meeting on Friday (June 3). The post-race awards celebration will be in the Cathedral Room at noon on Sunday (June 5). The start/finish line for the race will once again be adjacent to the Riviera del Pacifico Cultural Center as well on Blvd. Costero. Most the world’s best desert racers will be in action at this year’s 48th anniversary of the SCORE Baja 500, the original desert race produced by SCORE on July 26, 1974. The SCORE Baja 500 is one of the top motorsports events in the world. 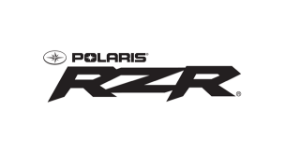 It was started originally in 1969 by the NORRA organization. Mickey Thompson and his SCORE International organization were asked by Mexican government to take over the event in 1974. Sal Fish ran and later owned and produced the SCORE Baja 500 for 39 years until he sold SCORE to Roger Norman in December of 2012. Ensenada has been the heart and soul of the SCORE Baja 500 as the popular summertime race. This year will mark the 43rd time it has started and 39th time it has finished in Ensenada. From award-winning documentary filmmaker Dana Brown, Dust2Glory will chronicle each of the four races in the 2016 SCORE World Desert Championship. Now, D2G, which began shooting at last year’s SCORE Baja 1000, continued at this year’s SCORE San Felipe 250 will be up close and personal in capturing the robust racers in their amazing adventures in Mexico’s majestic Baja California peninsula through all four spectacular 2016 races. Official Sponsors: Bud Light-Official Beer, Monster Energy-Official Energy Drink, BFGoodrich Tires-Official Tire, King Shocks-Official Shock Absorber, Vision Wheel – Official Wheel, Axial R/C-Official R/C Vehicle, Muck Daddy-Official Hand Cleaner, CBS Sports Network-Official Television Partner, Wide Open Excursions- Official Arrive and Drive Company, Crystal Bay Casino-Official Casino. Associate Sponsors: Symons Ambulance Company, Aero Calafia, Tessco.